Looking for a quiet vacation spot on the best beach in America? The Island House offers a variety of apartments and villas located on Siesta Key’s Crescent Beach, each with different features to meet your vacation needs. Overlooking the Gulf of Mexico, this vacation haven offers a serene place to stay with variety of activities. Full length heated swimming pool and Community House for games and recreational gatherings. *Now offering FREE Wi-Fi internet access in all areas! Each villa and apartment reflects the mood of the beach through its decor and furnishings. Each spacious apartment offers a spectacular view of the Gulf of Mexico. Enjoy the serenity of Siesta Key's blue gulf water breaking against the cool white sand, where sunbathers and swimmers alike relax in the sun and the water. The colorful evening sunsets, mirrored in the gulf water, enhance the serenity. In addition to the many events on Siesta Key, you can enjoy various activities within a 15 minute drive to downtown. Sarasota offers theaters, golfing, boating, fishing and tennis. Orlando's Walt Disney World Complex, MGM Studios, Universal Theme parks and Tampa's Busch Gardens are within a short driving distance. Designed for rental guests vacationing at properties managed by Island House Beach Resort and visitors interested in finding out about what the Siesta Key Area has to offer while on vacation. 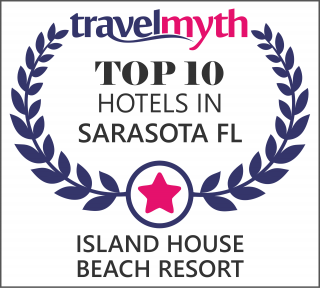 Island House Beach Resort manages over 66 rental properties in the Siesta Key area. Download this App to unlock the secrets for having a great time on your next vacation.